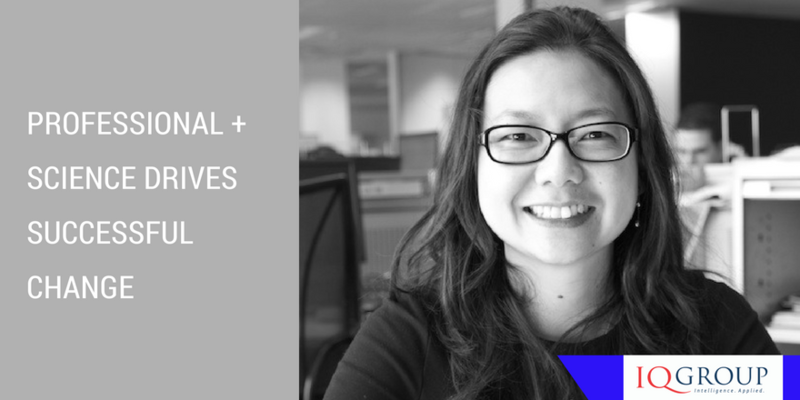 IQ Group Principal Consultant, Cynthia Cheong, sheds some light on change management and in particular, her most recent PROSCI training experience. Cynthia was chosen to attend this three day training course in Melbourne to provide her with globally recognised certification for her change management expertise. Recently I completed an immersive residential PROSCI training program. PROSCI stands for professional + science and is a globally recognised Change Management methodology. It provides proven knowledge, skills and tools that drive successful change initiatives within an organisation, paying particular attention to the people side of change to achieve a required business outcome. The principle methodology behind PROSCI is ADKAR – awareness, desire, knowledge, ability and reinforcement. This is a goal-oriented change management model that allows change management teams to focus their activities on specific business results. In the superannuation and wealth management sphere, change management is a major aspect of consultation delivery. This is because clients continually have to factor in complex regulatory changes with strategic business objectives. Naturally, this requires necessary internal changes to be managed effectively in order to provide adequate support to achieve these goals. In fact, some of our clients’ most recent large scale transformation programs have required us to ensure that key elements, such as the human resource aspect of change management delivery, were effectively managed end-to-end. People fear the unknown and I think it’s a natural feeling to resist and feel tense when change is not understood. However, when change is communicated effectively from the right levels and channels, it increases the probability of the change message to be received, understood and applied. PROSCI backs up its methodology with years of global research and has plenty of evidence on the preferred senders of change messages that people will want to hear from. The simplicity in its methodology makes it easy to explain and assess where the change is at individually and organisationally, using techniques to deal with change at different stages. The ability to change and adapt both personally and organisationally can potentially impact the success of an organisation in a global economy. We see around us disruptive technologies and practices that present many challenges to large organisations. That’s why it’s important to ensure that even the best systems and processes in an organisation are complemented by effective change management practices. The end result for my PROSCI training is to work with clients to combine change management certification, based on professional principles and scientific research with the change many of our clients face today and in the future in the most effective way. Superannuation has again made mainstream media headlines with quite possibly more changes on the horizon. Once again our super fund clients look to those within or close to the superannuation industry for guidance on what it all means for them. Regulation has arguably driven the most change in the industry and reflecting on the past thirty years I can recall the rise, growth and demise of numerous customer product offerings as a result. Who remembers approved deposit funds, variable annuities or why self-managed superannuation offerings have become so popular? Today even the simplest of superannuation products has many moving parts. Just as technology has most certainly allowed us to be more innovative in the way we do business, we’re seeing new professional relationships develop and existing relationships change and mature. We’re doing business beyond our traditional member, employer and local service provider relationships. New networks include legal representatives, payroll providers and international service suppliers to name a few. Recently the IQ Group sponsored an AFSA briefing in Brisbane on ‘Emerging Risks in Superannuation’ and I was fortunate enough to attend as IQ Group’s representative. 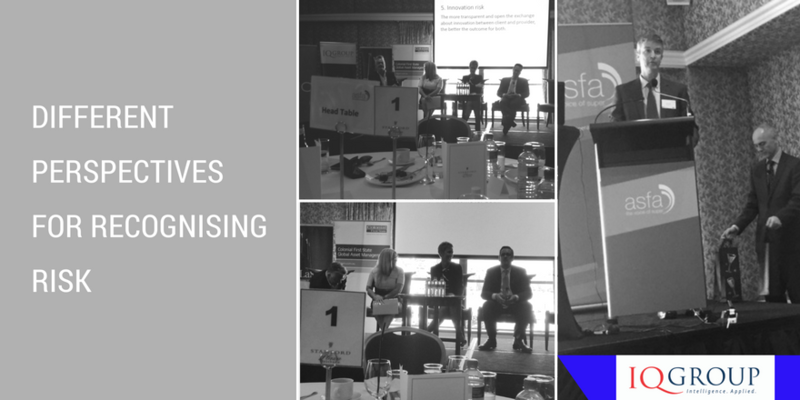 The briefing was well attended and for good reason, the speakers provided four different perspectives for recognising risk and shared their views on risk mitigation strategies. What I found interesting was on listening to legal, CEO, administration and service provider observations and experiences I noticed in some instances, there were similar themes but different mitigations. We all know that nothing sits still for long in our industry and when faced with a new challenge some of us innovate, others follow, some hold off and some elect to opt out. We make these decisions only after assessing the risks associated with a particular challenge from a number of perspectives. Post luncheon I reflected on the many discussions that took place and how over my years in the industry I have gained and applied new insights just by listening to experiences and viewpoints outside of my job role, employer and sometimes industry. I obtained another viewpoint that I hadn’t before considered and I’m sure others did as well. Participation in ASFA events and connecting with others has played a very important part my career development but I also feel that the industry has benefited enormously from the individuals who have given their time to co-ordinate, contribute, or simply attend an ASFA event. I had the pleasure of the thanking the speakers at the close for their contribution. Encouraged by the level of active participation within our superannuation community we and most importantly our members all stand to continue to benefit. What attracted you to join IQ Group? After working for a range of consulting firms over the years, from large global consultancies to small niche technical consultancies, IQ Group is the first professional services consultancy that I have worked for that are specific industry domain specialists. In the past I have worked for firms that provided generic project services with no specific industry domain specialisation. IQ Group on the other hand, specialise in the Superannuation and Wealth management industry. Most of the consultants have held roles in the industry and have a depth of knowledge and expertise in how the industry works. IQ Group as an organisation actively participates in the industry forums to help shape the direction and implementation of the industry policies and regulations. For example, IQ Group has recently provided a submission in response to the recent Productivity Report and it conducts an annual Digital Engagement Study of the Superannuation industry. So I am very excited to work with the consultants at IQ Group who provide a much deeper and richer expertise and value to our clients. What do you bring to IQ Group? With 30 years of experience working in IT and business consulting, I have a depth of experience in working with financial services clients to assist them with their business challenges. Underpinned by over 10 years of experience in business development and account management – plus valuable exposure to the retail banking sector – I am bringing with me a track record of establishing rich relationships with my clients and growing those accounts based on trust, value and respect. So my role at IQ Group will be to expand our footprint in the banking sector and deliver high value, high impact services to the superannuation and wealth management businesses within our banking clients. Also on the table are many years of experience in managing consulting businesses and I plan to capitalise on this experience and help grow and mature our practices and competencies. At the end of the day I would like to see this translate into the existing development and evolution of our service offerings and intellectual property. I am really excited about expanding IQ Group superannuation IP and services within the Australian banking sector. The potential positive outcomes we can share via deep conversations about the business challenges they are facing with our insights and industry expertise can potentially assist the banking sector deliver their business strategies for superannuation offerings. IQ consultants have the expertise and IP to assist our clients work through the complexity of the regulatory changes that they face and drive additional strategic value from this regulatory compliance work. One example is through improved customer experience and enhanced member retention and attraction strategies. I already appreciate IQ Group’s industry specialist expertise and IP and can see how it can create real differentiation for banks looking to expand their results in the superannuation and wealth management space. You have recently joined IQ Group and moved into a different type of role – what was the catalyst for this? My background is in sales and I really enjoy the partnership and advisory focus of it. It’s important to have a long term focus and concentrate on what is important for the customer in the short, medium and long term. This strategy will not only drive sales, but will ensure a long lasting value- based relationship that will go beyond contacts, friendship or short term results. The sales process is not just about volume and hitting targets, the relationship with the client needs to be nurtured. I have been lucky enough to work for some great organisations in my career where I’ve felt I have been able to make a difference to my customers, peers and myself. 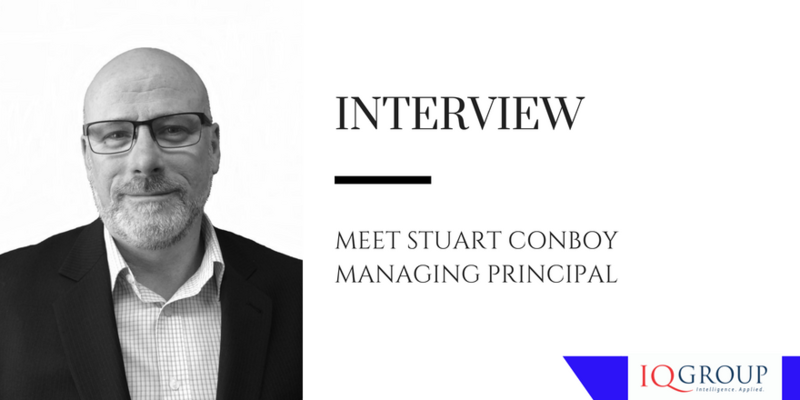 I felt that the time was right to challenge myself and make a bit of a jump into consulting and continue to develop as a trusted advisor to my customers. 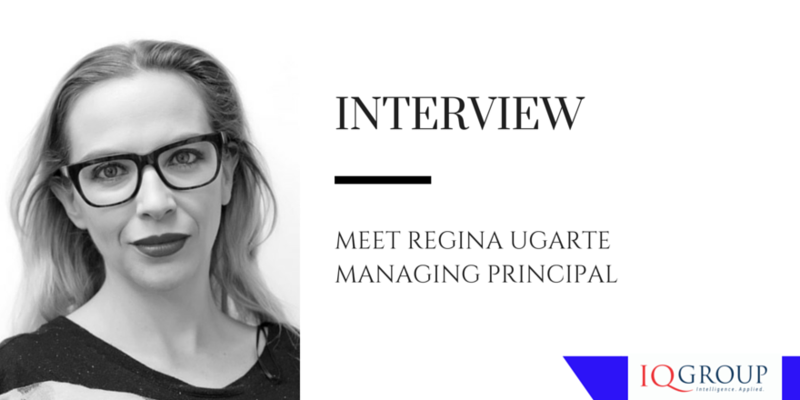 The incentive for joining IQ Group as the newly created role of Managing Principal is the satisfaction to work with clients and help them with an open approach. It’s really powerful to use my experience to be in tune with the clients’ strategic goals and no longer be constrained by the one offering from the one vendor. I have learnt the true meaning of the saying ‘many roads lead to Rome’. The IQ Group focus on our customers is challenging us all to think very differently about approaches and strategy. I am gaining a new perspective and as a team we are inspired to create new opportunities to support our customers and expand our value proposition. Very simple: putting the customer first. It is really important to understand the path your clients are taking and how to help them in the right way. I tend to park my own agenda at the door and make sure I understand the context of what we are discussing. After all people just want to be helped. This includes challenging the customer, when they need to be challenged. I may not be successful every time, but people will know you add value to a conversation instead of just filling a gap. Finally, think outside the box. Everyone everywhere is doing the same thing, including putting customers first, so how can you do it better, faster and deliver more value? Answering this question is true customer service. You love challenges and what do you think you will tick off your list here at IQ Group in the next 12 months? Yes I love challenges and anyone that knows me will agree! Personally I am looking forward to learning the many moving pieces of the superannuation and wealth industry and what role IQ Group and I can play in it. It is changing so rapidly that I am truly excited about what will this look like in 12-24 months.